A European Union donors conference held in Brussels pledged 1.2 billion euros ($1.35 billion) on Wednesday in support of the Afghan democracy and stability process, the bloc's foreign policy spokeswoman said. Foreign Policy representative, Federica Mogherini said the EU expected a similar level of contribution from other overseas partners. (L-R front) NATO Secretary General Jens Stoltenberg, Afghanistan's Chief Executive Abdullah Abdullah, Afghanistan's President Ashraf Ghani, European Council President Donald Tusk, UN Secretary-General Ban Ki-Moon, Federica Mogherini, High Representative of the European Union for Foreign Affairs and Security Policy, US Secretary of State John Kerry, Prince Shah Karim Al Husseini Aga Khan IV and Norway Minister of Foreign Affairs Borge Brende during a family picture of the Brussels conference on Afghanistan in Belgium, 05 October 2016. 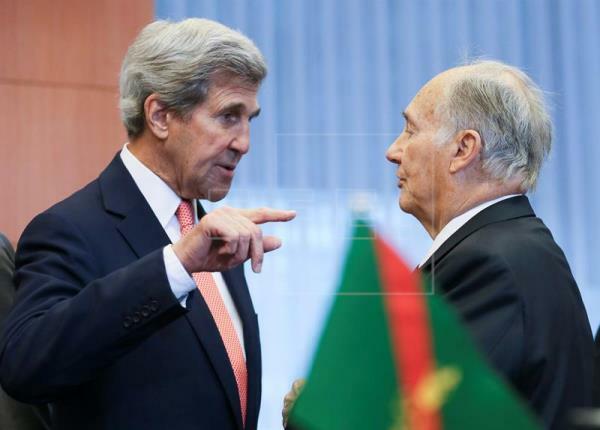 US Secretary of State John Kerry (L) and Prince Shah Karim Al Husseini Aga Khan IV (R) chat prior to the Brussels conference on Afghanistan in Belgium, 05 October 2016. The conference, which is hosted by the EU, will bring together representatives of over 70 countries to discuss the situation in Afghanistan. 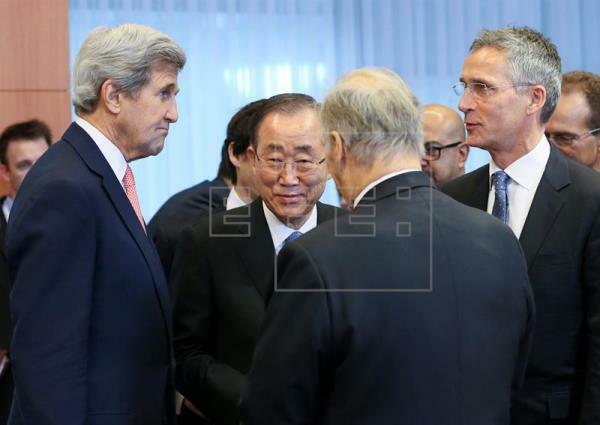 (L-R) US Secretary of State John Kerry, UN Secretary-General Ban Ki-Moon, Prince Shah Karim Al Husseini Aga Khan IV and NATO Secretary General Jens Stoltenberg chat prior to the Brussels conference on Afghanistan in Belgium, 05 October 2016. The conference, which is hosted by the EU, will bring together representatives of over 70 countries to discuss the situation in Afghanistan. I thank the Government of Afghanistan and the European Union for bringing the international community together. 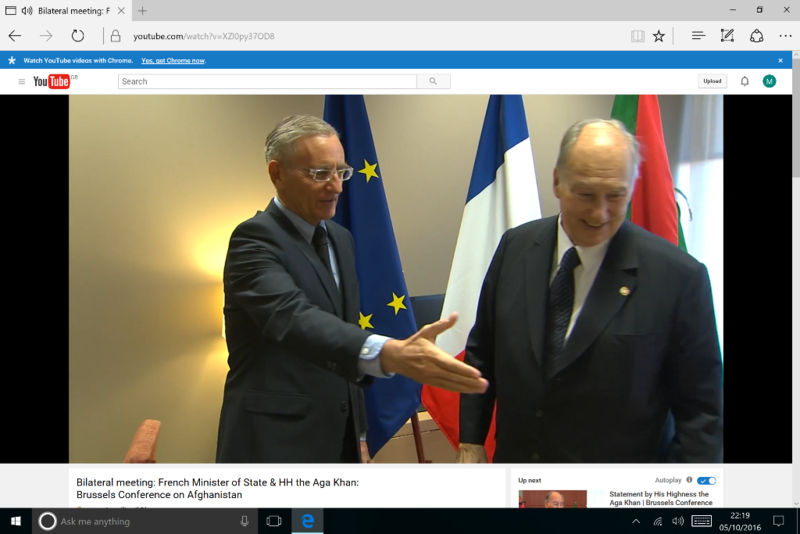 I am very pleased to be here, as the Ismaili Imamat and the Aga Khan Development Network have an enduring commitment to Afghanistan. Since 2001, AKDN and its partners have channelled over $1 billion to enhance self-reliance and improve the quality of life of Afghans. Between now and 2020, AKDN plans similar investments in cultural heritage, education, energy, health, and poverty alleviation. In supporting the Afghanistan National Peace and Development Framework, I wish to highlight three areas we believe are crucial to its success. First, it is urgent to drive efforts to sustain and develop Afghanistan’s human and social capital. For this purpose, AKDN supports the Ministry of Education’s National Education Strategic Plan in over 850 schools and education centres. In health, AKDN’s public private partnerships have provided treatment to over 1.6 million Afghans and trained over 13,000 doctors, nurses, and health workers. Together with our partners, we will soon inaugurate the Mothers and Children’s wing of the French Medical Institute in Kabul and the new Bamiyan Provincial Hospital. Second, supporting civil society is essential. Decades of experience have taught us that effective civil society is fundamental to lasting progress, helping ensure development that is inclusive and participatory. Civil society can unleash constructive talents from a broad spectrum of organisations and individuals, including the private sector. We are gratified to see these principles reflected in the Citizen’s Charter adopted last week by the government. Third, area development should be supported. Ensuring sustained social and economic gains often requires working across frontiers. One promising example is Pamir Energy, a public private partnership between the Aga Khan Fund for Economic Development and the Government of Tajikistan. Since 2008, it has exported electricity across the border, reaching nearly 35,000 Afghans, and much more is possible. Finally, I would reiterate my profound belief in the power of sustained, long-term, multi-dimensional development that empowers individuals and communities to improve their quality of life. It is with that conviction that I support this meeting and reconfirm our commitment to Afghanistan’s future. FR - Conférence de Bruxelles sur l'Afghanistan: Son Altesse Karim Aga Khan IV reçoit André Vallini, Secrétaire d'État chargé du Développement et de la Francophonie - 05.10.2016 - Conseil européen, Bruxelles. aga-khan-trust-for-culture-afghanistanThe Ministry of Urban Development and Housing signed a landmark Memorandum of Understanding with the Aga Khan Trust for Culture for the preservation and reconstruction of key historical sites in Kabul. The landmark agreement was signed by the Minister of Urban Development and Housing Syed Sadat Mansoor Naderi and Luis Monreal, the General Manager of the Aga Khan Trust for Culture. Signed on the sidelines of the Brussels Conference on Afghanistan and, the MoU which also involves the Kabul Municipality, will also focus on urban reconstruction and preservation of the elected historical sites, including preparation of strategic plan for the sites elected along the Kabul river in the first police district of Kabul city. Development and tracing of the historical sites and heritage for the survey and rendering the historical Bala-e-Sar area in Kabul. Other items included in the MoU are development of preservation of Eidgah mosque in Kabul and its close proximity and assessment of the design for Dar-ul-Aman which have been presented by the foreign advisers to the Afghan government. The government of Afghanistan of presented the Civilians Charter program for the fiscal year 2015 and 2016 in a bid to introduce a comprehensive program for the development of urban affairs in all sectors including good governance, institution building, economic development, infrastructure, transportation, preservation of the heritage and the environment. The mentioned program paves the way for the implementation of urban reconstruction with the support of the foreign organizations including the Aga Khan Foundation. The Ministry of Urban Development and Housing said the Aga Khan Foundation will provide technical support to the Afghan government in the mentioned sectors. The Aga Khan Trust for Culture will overview the implementation of the projects, being a registered organization in the country and in Switzerland, and has implemented various projects for the urban rehabilitation, preservation and physical and social renewal of the societies and in historic places. 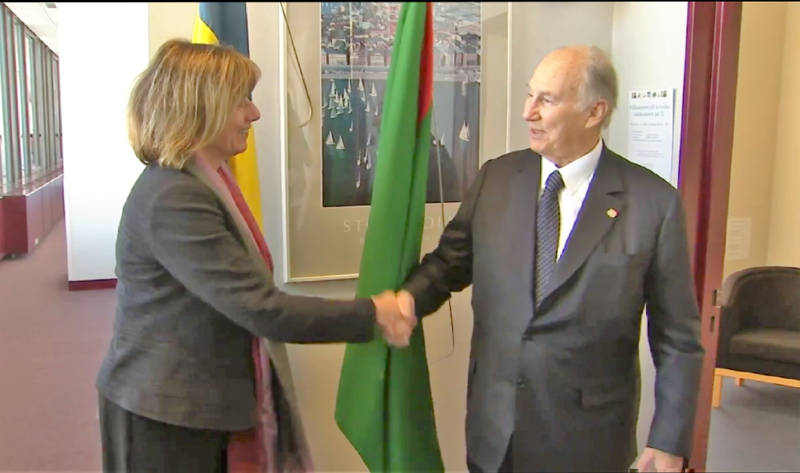 The spiritual leader of Shia Ismaili Muslims Prince Shah Karim Al Hussaini Aga Khan highlighted three key areas during his speech at the Brussels Conference on Afghanistan, inlcuding an immediate drive to sustain Afghanistan’s human and social capital, supporting civil society, and ensuring sustained social and economic gains of the country. Second, supporting civil society is essential. Decades of experience have taught us that effective civil society is fundamental to lasting progress, helping ensure development that is inclusive and participatory. Civil society can unleash constructive talents from a broad spectrum of organisations and individuals, including the private sector. 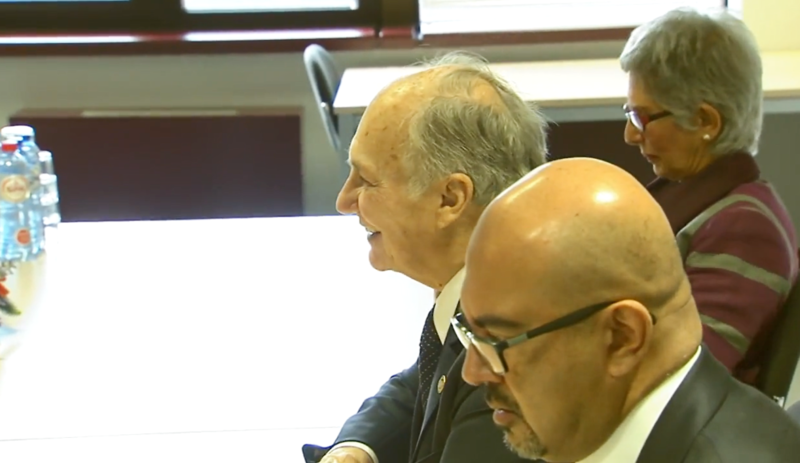 We are gratified to see these principles reflected in the Citizen’s Charter adopted last week by the government,” Aga Khan said. 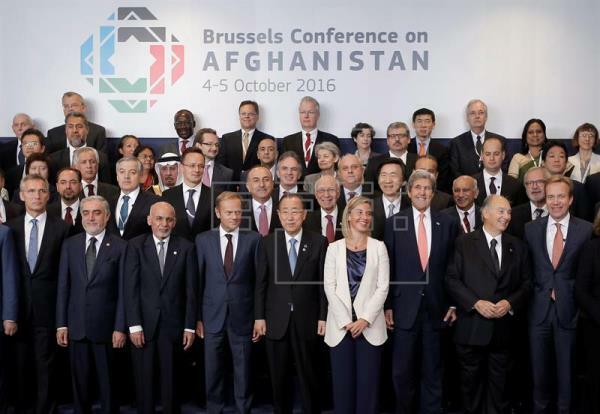 The conference in Brussels was hosted by the European Union and Afghanistan on 4th and 5th of October and some 70 countries and 30 international organizations and agencies participated in the conference to debate and reaffirm commitment to Afghanistan’s future. Brussels, 6 October 2016 — “Since 2001, AKDN and its partners have channelled over $1 billion to enhance self-reliance and improve the quality of life of Afghans,” said Mawlana Hazar Imam yesterday, and he indicated that more will follow in the years ahead. 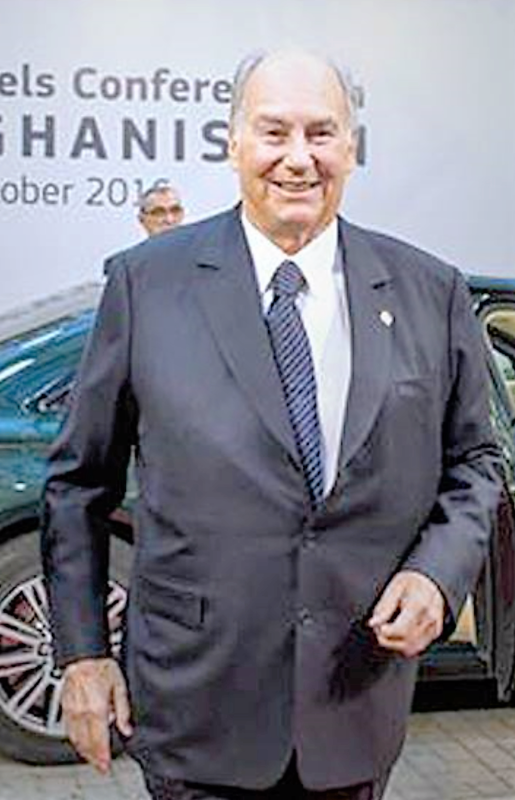 Mawlana Hazar Imam was speaking at the Brussels Conference on Afghanistan, co-hosted by the European Union and the government of Afghanistan. 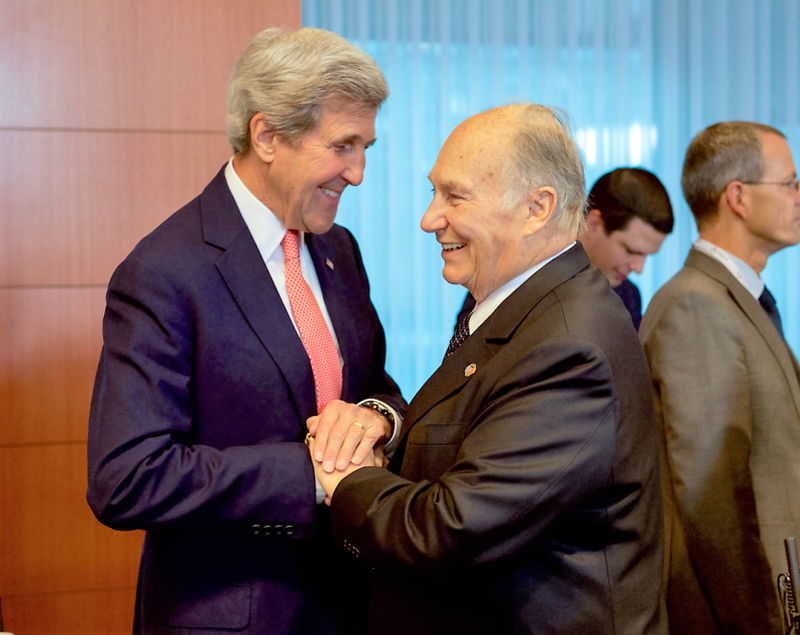 Hazar Imam reiterated that AKDN and the Ismaili Imamat have an “enduring commitment” to the country. Although the AKDN’s work there began in 1996 with the distribution of food aid during the civil war, its contribution towards rebuilding the country has grown massively in scope and impact. It now has economic projects in over 240 cities and towns spread throughout the 34 provinces. Its social development and humanitarian work has touched over 3 million people. It has also restored over 90 historic sites, revitalising the nation’s cultural heritage while upgrading local infrastructure and training local journeymen. 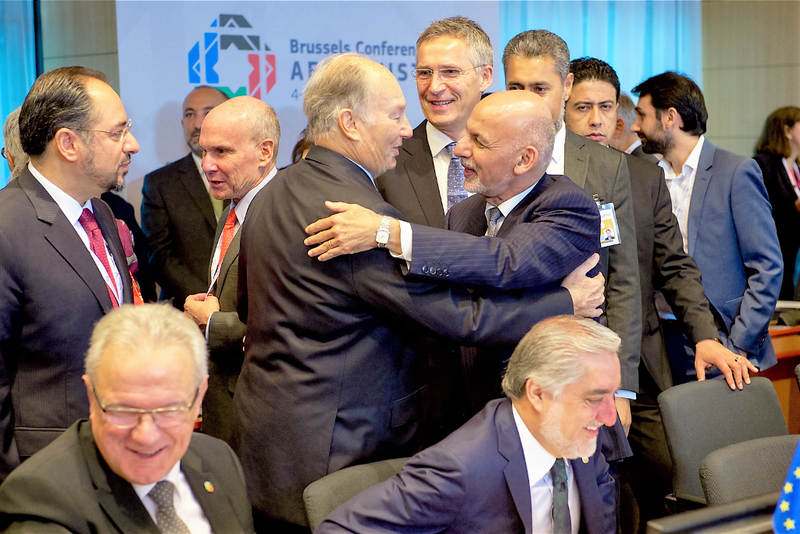 Among the attendees at the Brussels conference were the President of Afghanistan, Dr Ashraf Ghani and Chief Executive Dr Abdullah Abdullah, United Nations Secretary-General Ban Ki-moon, NATO Secretary General Jens Stoltenberg, and United States Secretary of State John Kerry. On the sidelines of the conference, the Aga Khan Trust for Culture and the Afghan Ministry of Urban Development signed an agreement that will facilitate the conservation and restoration of key historic areas in Kabul. The memorandum of understanding furthers AKDN’s commitment to preserving Afghanistan’s built heritage and developing sustainable models of urban planning, upgrading and conservation. In his remarks at the Brussels conference, Mawlana Hazar Imam expressed his support of the Afghanistan National Peace and Development Framework, and spoke about three areas that are crucial to its success. “First, it is urgent to drive efforts to sustain and develop Afghanistan’s human and social capital,” said Mawlana Hazar Imam. To this end, AKDN is supporting the Afghan Ministry of Education in over 850 schools, has provided medical treatment to 1.6 million Afghans and has trained 13,000 doctors, nurses and health workers, he noted. 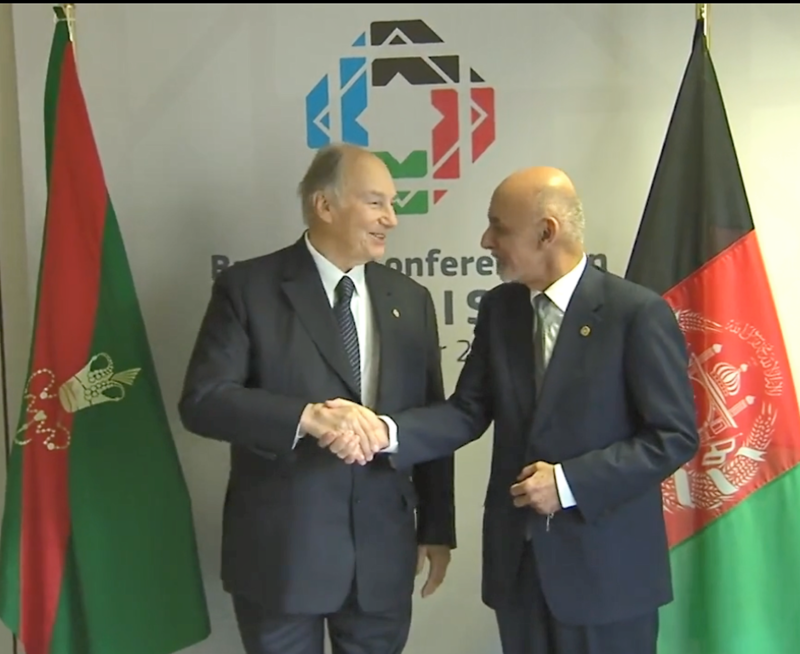 Third, Mawlana Hazar Imam talked about regional development with Afghanistan’s neighbours. He pointed at the example of Pamir Energy, which is based in neighbouring Tajikistan yet supplies electricity to some 35,000 people on the Afghan side of the border. The Aga Khan Fund for Economic Development and the government of Tajikistan run the power utility under a public-private partnership.